Please notise: With a joint ticket to Christiansborg Palace, you'll even get a 50% discount on the entrance as well as the annual pass. The Court Theatre is 250 years old. It opened in 1767 as the king's theatre; Hans Christian Andersen and Countess Danner among others have performed here. 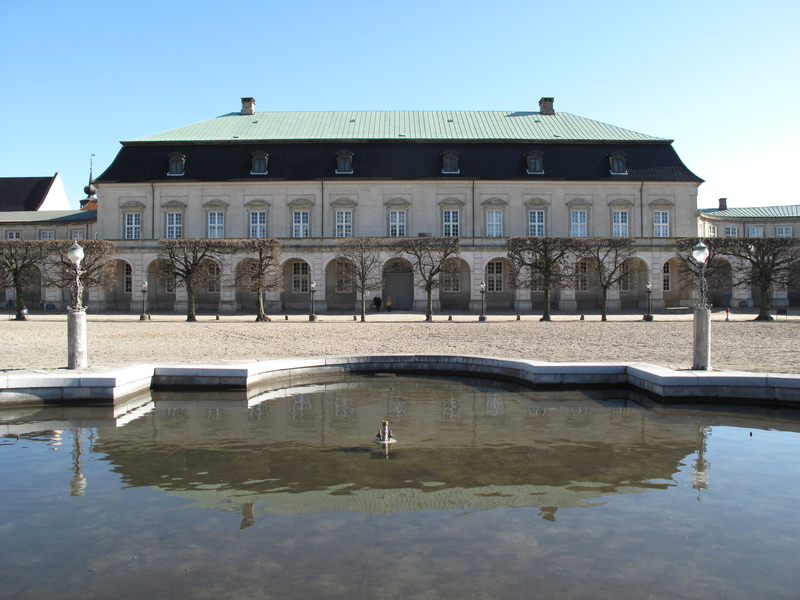 Today The Court Theatre is the oldest theatre building in working order in Denmark; at the same time it is open to royals, politicians and artists as well as visitors of any kind. As a visitor you have access to the entire theatre: to the auditorium, to the sloping stage, to the balconies and the small boxes where kings and queens, princes and princesses have been sitting and are sitting till this day when attending performances and concerts.The Court Theatre includes the Theatre Museum and is situated at Christiansborg Riding ground right behind the Danish Parliament (Folketinget), in the middle of the living history of Denmark – in the middle of Castle Island (Slotsholmen), which for centuries has been an important part of the arts, war, politics and the centre of power. The café in the Court Theatre is one of the most friendly cafés in central Copenhagen, it has a special atmosphere and a beautiful view of Christiansborg Riding ground, and beyond the historic Copenhagen skyline. During the summer there is access to the outdoor balcony. The café is open at the same time as the museum. The Theatre Museum at The Court Theatre is perfect to visit on your own or as a group for a guided tour. Guided tours are available to all groups regardless of age and affiliation and we adjust the guided tour in accordance with the wishes of the individual group. The tour takes you all the way through the history of The Court Theatre and the beautiful and most atmospheric interiors. Guided tours can be booked at any time. 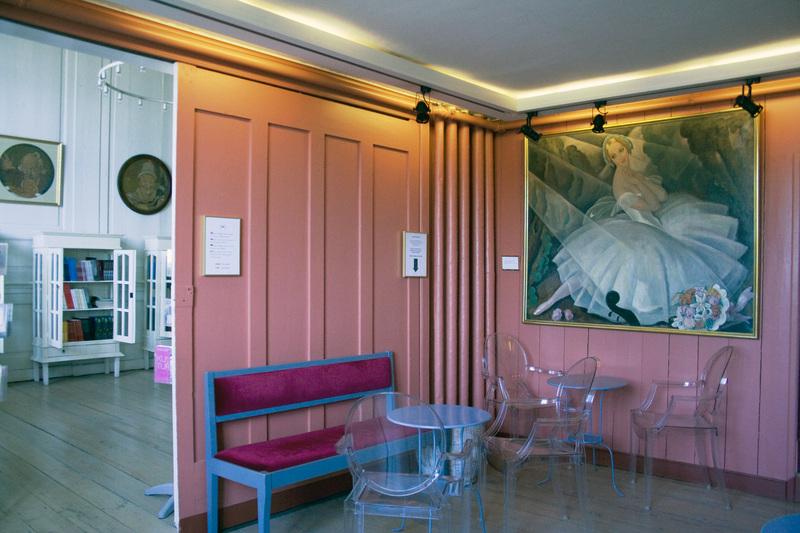 The Theatre Museum at the Court Theatre is the centre of a broad spectre of museum-activities and culturel arrangements and events. Continuously, you will find larger and smaller exhibitions in the Theatre Museum focusing on historical topics with a current perspective or exhibitions in which current topics are seen from a historical perspective. English introduction to all exhibitions. 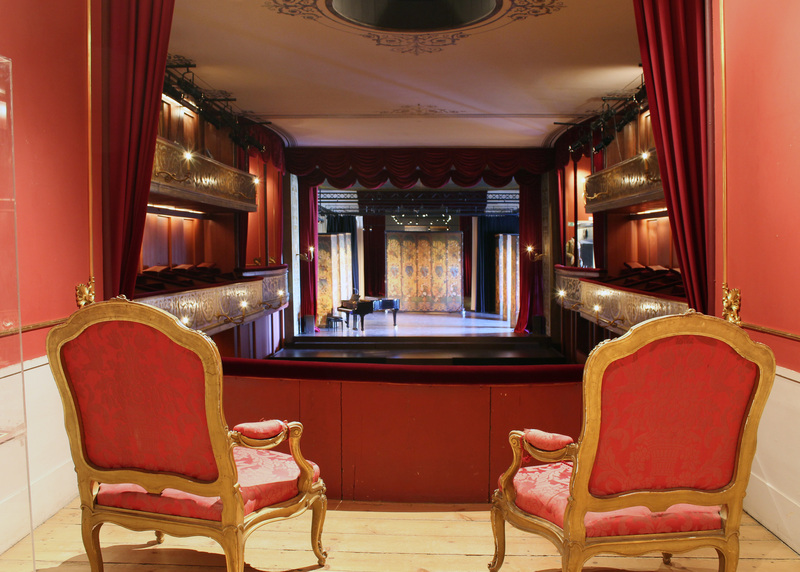 The Theatre Museum at the Court Theatre develops and disseminates historical and current knowledge about Danish theatre and performing arts in and from the context of the old Court Theatre from 1767. It is also the task of The Theatre Museum to cherish and maintain the Court Theatre for its unique, cultural and historical values in a national as well as an international context. The Theatre Museum at the Court Theatre is an empathetic, open, vibrant and courageous host and curator of activities in and around the museum and the Court Theatre. Theatre and the performing arts are the reflection of the cultural, intellectual and social atmosphere of the time. The Theatre Museum at the Court Theatre is Denmark's key player for study, discussion and dissemination of past, present and future cultural trends, such as they are reflected in and presented by the theatre and the performing arts.